Über das Thema ‘Brache’, will der deutsch-kroatische Austausch die Sensibilität für die historisch-politisch bedingte Strukturschwäche der ländlichen Gegenden sowie für verschiedene Möglichkeiten einer gemeinsamen Nutzung erwecken. Unterschiede herauszuarbeiten und diskriminierungsfreie, solidarische Kommunikation und Interaktion zu stärken. Dabei werden individuelles Wissen, Erfahrung, Kompetenzen genauso berücksichtigt wie Interesse, Talent und Zusammenarbeit gefördert. Die Jugendlichen gehen aufs Land und begegnen sich mit zu Teilen aus der Stadt und vom Land kommenden Gleichaltrigen aus Deutschland und Kroatien. Unter Anleitung von drei erfahrenen Film-, Theatermachern und Musikern bearbeiten sie das Thema ‘Brache’ in Form eines Workshops innerhalb eines 10-tägigen Aufenthalts pro Begegnung. Demnach gibt es drei nach künstlerischer Disziplin aufgeteilte und angeleitete Workshops (Performance/Theater, Musik und Film). Die Ergebnisse der Arbeitsgruppen finden, am Ende, im besten Fall eine interdisziplinäre Darstellungsform, aber können sich auch in einer z.B. filmischen, musikalischen oder performativen Arbeit äußern. Die Teilnahme an beiden Begegnungen sowie minimale Englischkenntnisse sind erwünscht, aber nicht zwingend. Die Teilnahmegebühr pro Begegnung ist 50,00€. Damit sind die Aufenthalts- und Unterkunftskosten gedeckt. Früh buchen wird empfohlen. Reisekosten werden bis max. 150,00€ für die Reise ins jeweilige Partnerland und bis max. 20,00€ innerhalb des jeweiligen Landes übernommen. CULTURE SEEDING – film, theater and music workshop cycle in rural areas with the topic ‘fallow land’ for 20 young people from Germany and Croatia aged between 18 and 25 years. “Culture Seeding“ stands for the exploration of rural regions with artistic means dealing with the topic of ‚fallow land’. More precisely, it is a youth exchange program, stretching over 6 months for participants from Croatia and Germany. The youth exchanges will take place in Brandenburg, Germany and Lika, Croatia. 20 young people in the age between 18 and 25 will go to the countryside and meet other young people of the same age coming from cities or rural regions in Germany and Croatia. Under the guidance of 4 intercultural and interdisciplinary teamers, they will work in context of the topic ‚fallow land’. The format being used for this will be a cycle consisting out of 3 different artistic disciplines within a 12-day stay per exchange. According to this, there will be 3 different workshops, each using a specific artistic discipline (performance / theatre, music, film, literature / language), for which each participant can decide to take part in, after having tried out all disciplines. In each workshop, the small group works towards creating a collective artistic result by intensely dealing with the specific artistic discipline chosen. Through daily reflection and evaluation in the frame of each group, further steps and tasks will be defined, which aim at the development of the final presentation of the group-work on screen or on-stage. The best case would be, if the presentation happens to be an interdisciplinary cooperation between groups of different artistic disciplines, but single group-presentations are possible as well. 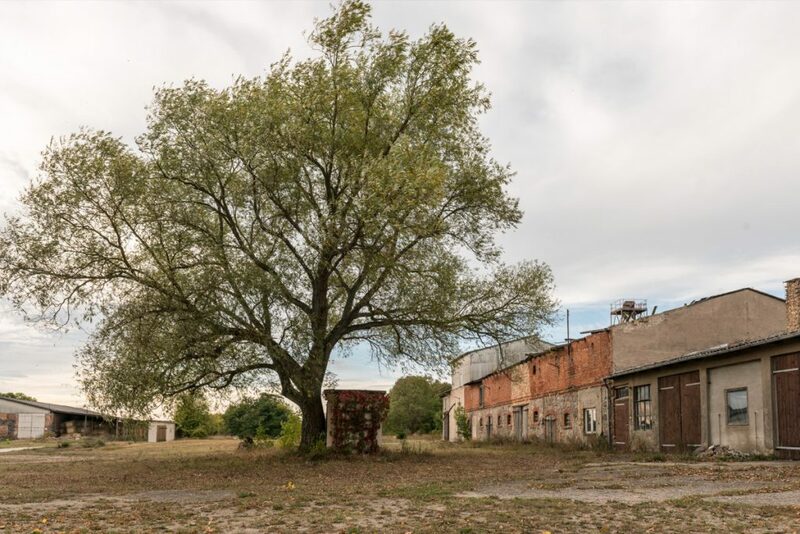 The exchange project, with the thematic focus on ‚fallow land’, aims at raising the sensibility for the historical-politically caused structural weakness of rural regions and for different options of collective use. To reach this goal, individual knowledge, experience and competence are taken into account and interests, talents and cooperation are encouraged. Participation in both meetings as well as minimal knowledge in English are welcome but not obligatory. The participation fee for the two workshop cycles in Brandenburg / Germany and Lika / Croatia is 50,00 € each. This covers the accommodation costs and expenses for food. Travel expenses will be charged up to max. 150,00 € for travel to the respective partner country and up to max. 20,00 € within the respective country. Early booking is recommended. We kindly ask you to register until April 16, 2017 and we will be glad to answer your questions.